Hello. I'm back! Been so busy with both work and undergrad theses that I didn't have the perfect mood to write an update on this blog. My bestfriends are also super busy at work so I completely have no chance to have my outfit pictures taken. Kinda miss it as it's been awhile. This time please let me share something that makes my folks a lil bit proud of me (Ha! Yeah finally). 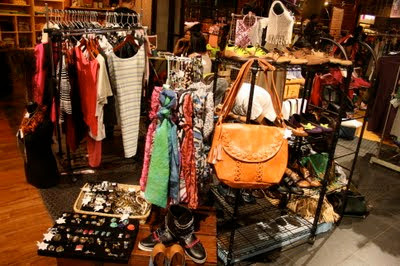 I was publicized in a couple of medias, both local and international. Hehe. So here you are, I'm showing them off now! 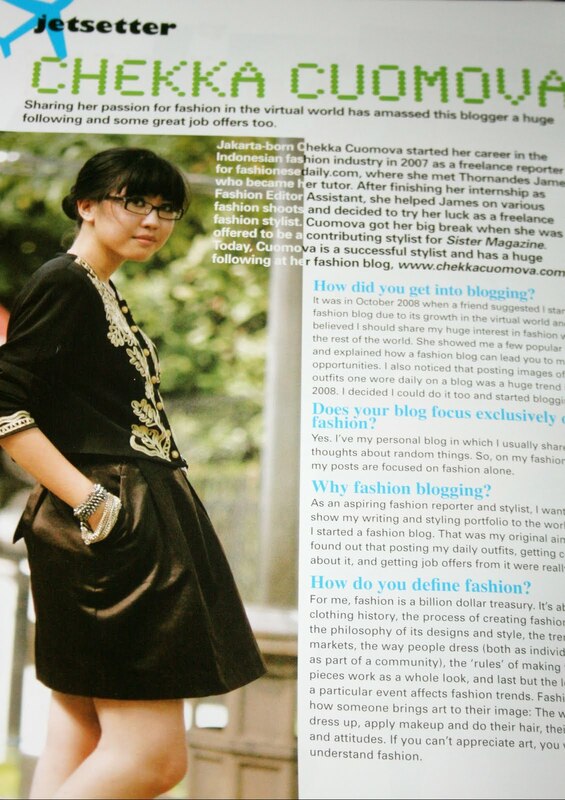 Featured in AirAsia inflight magazine, Travel 360 March 2011 issue. 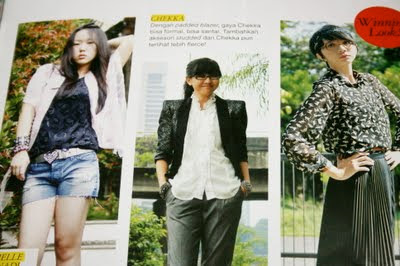 With blogger fellows June and Michelle in Grazia Indonesia, June 2011 issue. This one was taped for MNC TV several months ago (in September or October 2010 I forgot). Such a long overdue, I know. And I haven't even got the chance to watch it myself when it was aired! And this one is just a quick update of the previous event I participated in. 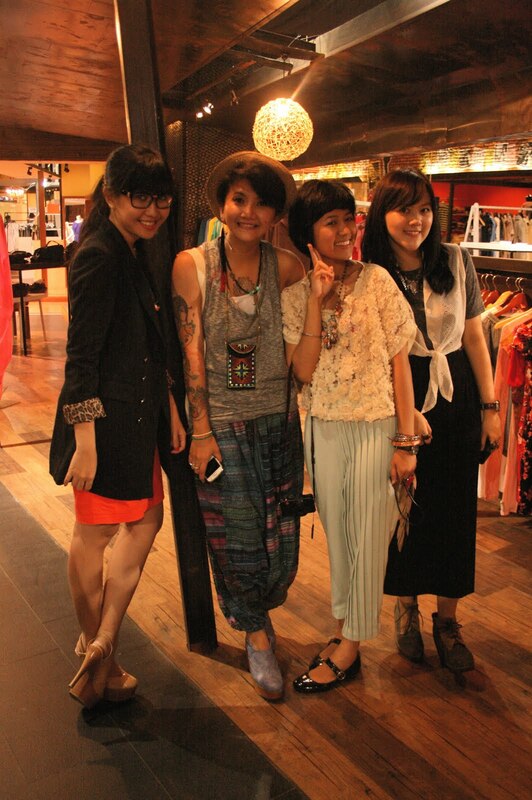 I'm posing with blogger fellows Cindy, Glinka, and Heidy at Blogger Yard Sale part 7. Hard work pays off and gets you noticed. For the record, both you and Michelle are two of the loveliest fashion bloggers, let alone two of the loveliest Indonesian fashion bloggers. Cool stuff! And welcome back to the blogosphere, Chekka! wow, congratulations kak! you are rocks! Congrats on the feature! That's amazing!! Congrats ! 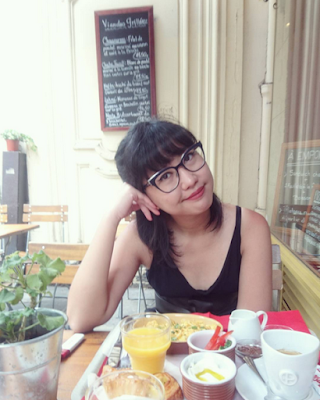 Great to discover your blog !